President Donald Trump is widely expected to sign comprehensive water infrastructure legislation that carries strong support among both parties. The Senate passed America’s Water Infrastructure Act by a near-unanimous margin on Wednesday, with 99 senators voting in support of the measure and only one lawmaker voting against it. The bill, if signed into law, would green-light more than $6 billion in federal spending on harbors, waterways, ports and other projects. The bill also calls on the federal government to discontinue funding water projects that have been deemed inefficient; doles out billions to the Environmental Protection Agency so it can improve drinking water; and mandates the prioritization of low-income communities when testing for lead poisoning. 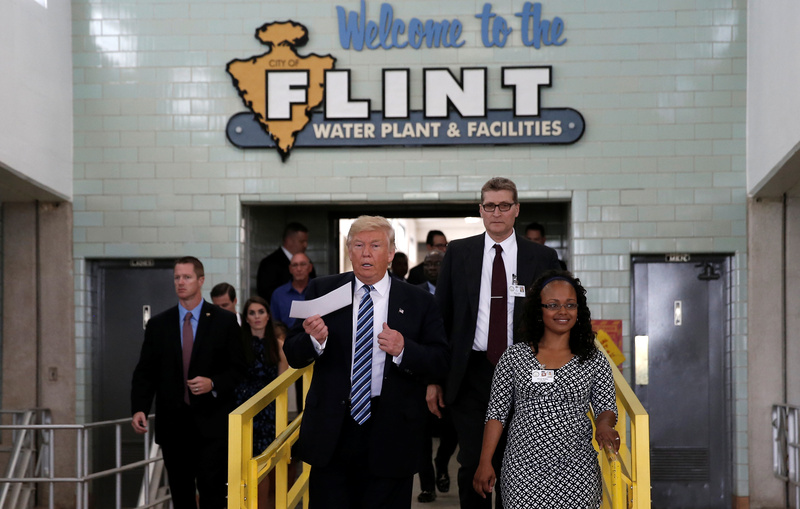 Notably, America’s Water Infrastructure Act also brings more aid to the city of Flint, Michigan, where residents are still dealing with the fallout of lead poisoning in their drinking water — the situation has long been characterized by critics as an example of the government’s lack of concern for minority communities. In addition to prioritizing low-income areas, the bill extends a federal program specifically geared toward improving Flint’s drinking water. The EPA will go a step further by requiring each regional office to employ at least one employee to serve as a “point person” for low-income, minority and tribal communities. “This legislation invests in the critical water infrastructure we don’t see every day, but that American families in every state rely on, such as drinking water systems, dams, reservoirs, levees, and ports,” said Delaware Democratic Sen. Tom Carper, a ranking member of the Environment and Public Works Committee.